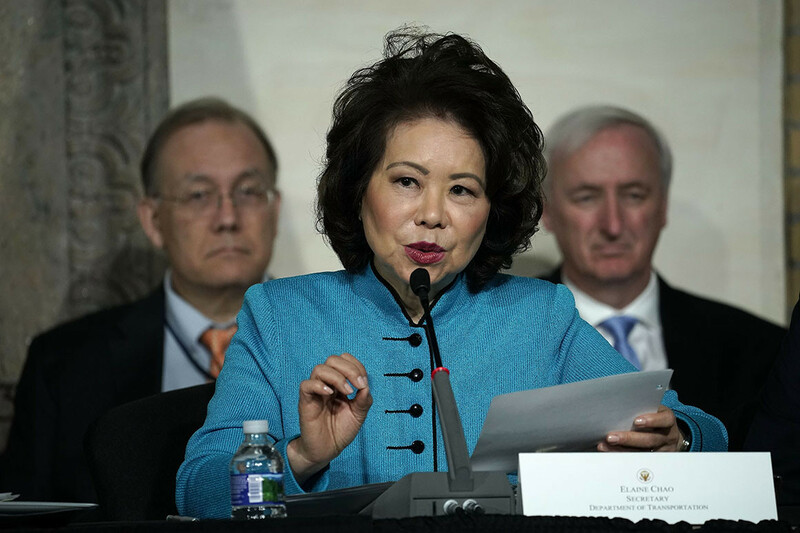 Transportation Secretary Elaine Chao has asked the DOT's inspector general to examine the process the FAA used to certify the Boeing 737 MAX as safe to fly before two of the planes went down in fatal crashes in Indonesia and Ethiopia, the department said Tuesday. Chao’s request, in a memo to the inspector general dated Tuesday, asks the inspector’s office to include the certification process in any audit it conducts into the 737 MAX. Chao's referral memo said the audit will help to “compile an objective and detailed factual history of the activities that resulted in the certification of the Boeing 737-MAX 8 aircraft.“ It notes that Boeing requested an amended type certification for this aircraft in January 2012, which FAA issued in March 2017.